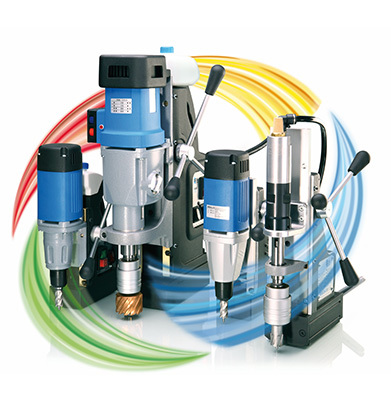 The Premium Magnetic Drilling Machines ”Made in Germany”. 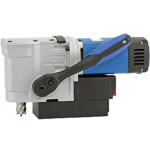 BDS Maschinen has the world’s widest range of magnetic drilling machines with more than twenty-seven models to meet all your requirements. 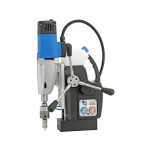 Professional Drilling Machine With Swivel Base. 40 X 55 mm drilling capacity. M 16 Thread Cutting. Drilling + Tapping machine With Swivel Base. M 20 Thread Cutting. 50 X 55 mm drilling capacity. Drilling + Tapping machine With Swivel Base. 100 X 110 mm drilling capacity. M 30 Thread Cutting. Professional Drilling Machine. Most Lightweight, best for Tower drilling. 30 X 55 mm drilling capacity. 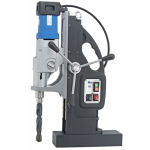 Professional Drilling Machine With Swivel Base. 40 X 55 mm drilling capacity. 75 X 110 mm drilling capacity. Economical Drilling Machine. Lightweight and handy. 32 X 55 mm drilling capacity. Economical Drilling Machine. 2 Speed Gears. 35 X 55 mm drilling capacity. Economical Drilling Machine. Morse Taper 2 . 40 X 55 mm drilling capacity. 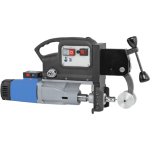 Compare Magnetic Drilling Machines. . -. 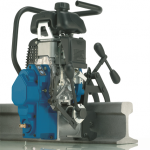 Petrol driven rail drilling machine. . -. Manual Drilling+Tapping Machine. . -. Portable Drilling and Milling Machine. . -. This is our specialty. Our technicians and engineers have considerable experience in the area of metal drilling technology. For us it is a challenge to supply professional solutions for your applications.